The box for receipts collection at the checkout zone. It consits of 2 plastic parts made of hard and highly clear polystyrene. The paper label with advertising message is fixed between the inner part and outer part of the box. You can do insertion at your side or we can print the leaflets and insert them for you. 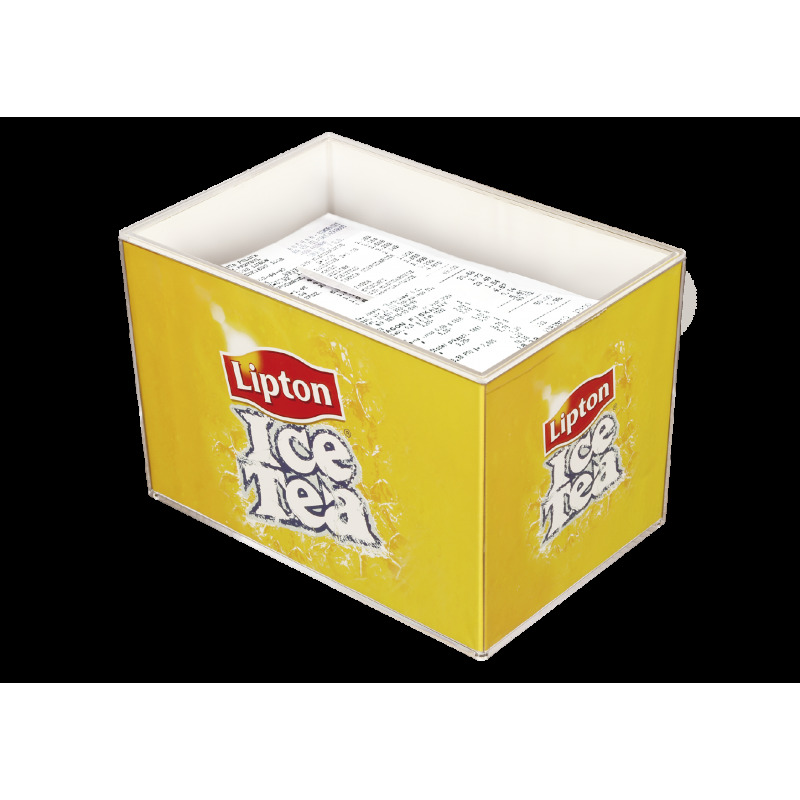 The most effective promo solution at the checkout zone would be combination of the cash tray and similarly branded receipt box placed on the counter (advertising area inscreases by 2-3 times).